In a spellbinding novel that combines the suspense of a thriller and the accuracy of a work of history, the psychology of a monster is fully revealed, every atom of his madness explored, every twist of his homicidal logic followed to its logical conclusion. "Leon Trotsky is trying to kill me," thinks Joseph Stalin. It's a paranoid lie, but all too real to Stalin. Trotsky, in exile in Mexico City, is writing a biography of Stalin that may offer proof of a secret crime that could force Stalin from power. What will Trotsky disclose before the long hand of Stalin reaches him and eliminates the threat? The prospect leads Stalin to reflect on his own life--the sly and domineering schoolboy battling a sadistic father . . . a youthful poet, thief, and seminarian who questions morality, evil, and the existence of God until he finds answers that free him to a life of power and slaughter. Stalin takes us deeper and deeper into his life and into the labyrinth of his psyche until we are finally alone with him. 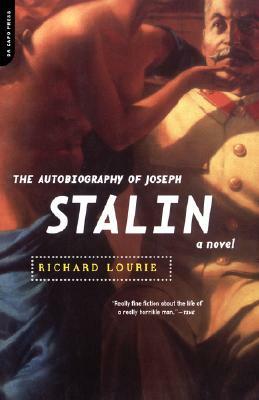 "The Autobiography of Joseph Stalin" is a mesmerizing journey to the very heart of evil.